Dow AgroSciences, a Dow Chemical Company that provides agricultural products and services, developed a new growing supplement called Refuge Advanced. The new product was designed to cut down on labor while also ensuring an even distribution. 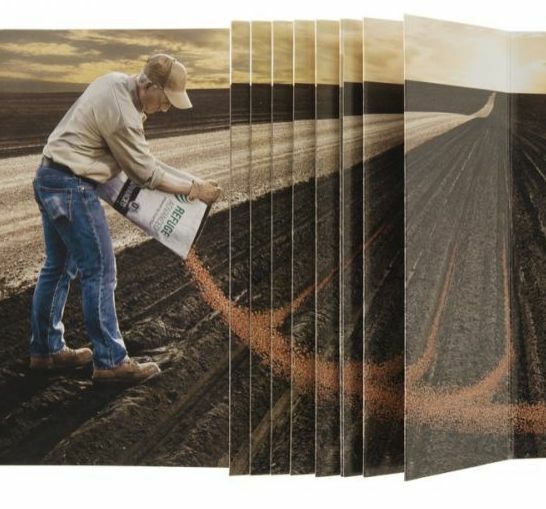 In order to excite and more importantly, educate potential customers, Dow Agro and its ad agency, Bader Rutter were looking for a unique and smart direct mail piece that would excite and more importantly, educate potential customers on their new product offering. Connecting emotionally with its target audience was key to the success of the campaign. Dow Agro needed a way to create an experience that their audience can relate to. 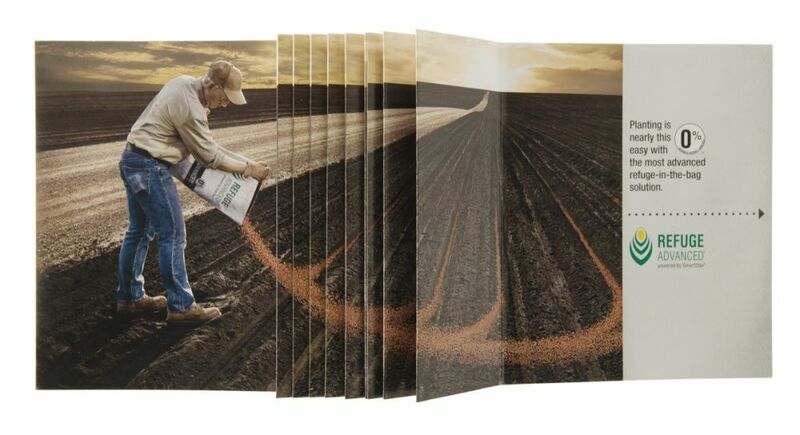 With the help of Americhip’s paper engineering team, a direct mailer concept with Flippit technology was realized. 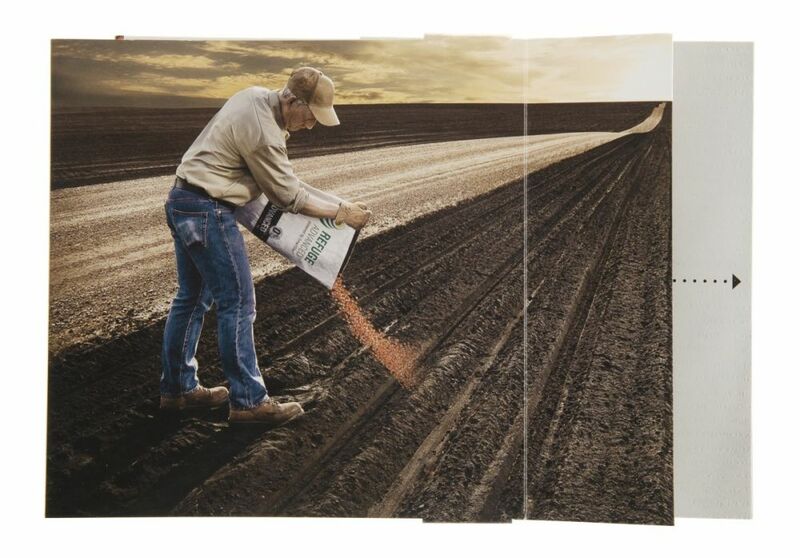 The front of the mailer had a single farmer pouring the new Dow Agro product on his field which created the connection to the target audience. 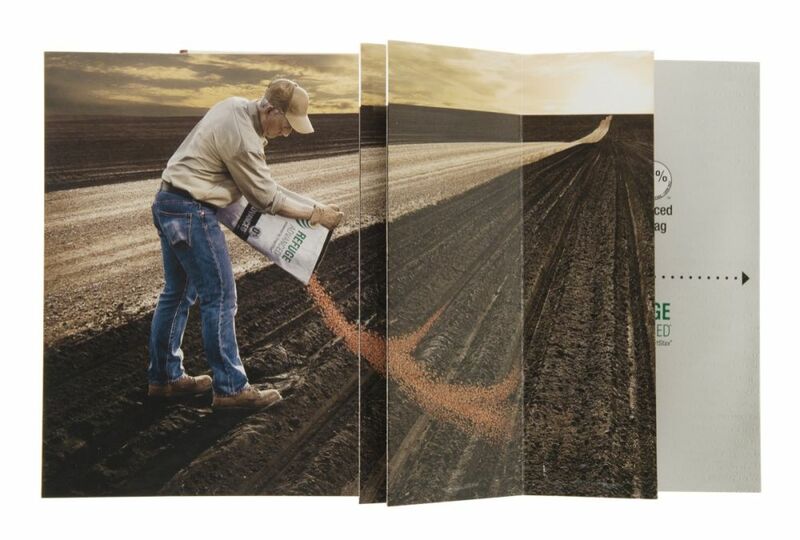 The mailer then had a tab that when pulled, extended the mailer while also extending the field the farmer was working on, demonstrating the primary benefit of the Dow Agro product. The back of the mailer had additional information on the product as well additional calls to action that drove potential customers to the Dow Agro website.